Moncler opened its archives and has formally redefined the iconic duvet to create a contemporary version of the brand's incomparable garment for the AW2016/17 season. 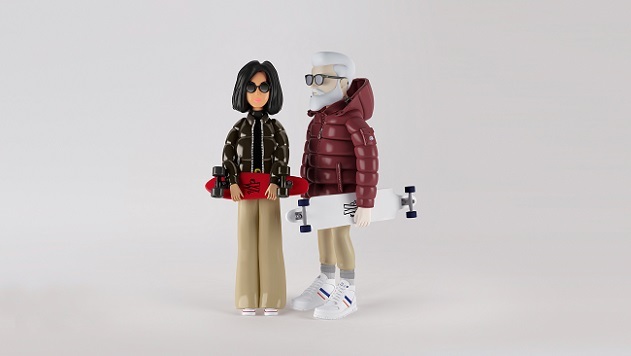 The ambassadors for this new creative adventure are Mr. & Mrs. Moncler, a contemporary “virtual” couple who underline the double-sided concept behind the collection. 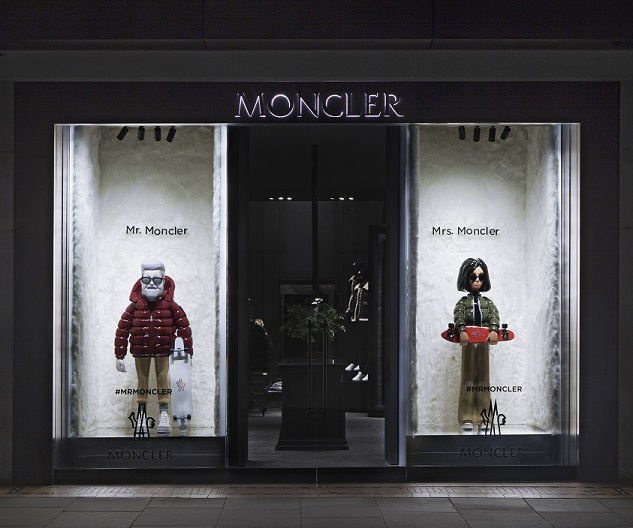 Mr. & Mrs. Moncler represent a significant new design step in the French-Italian brand's wide product range. In an age when social networking has totally redefined and opened the borders of communication, when everything revolves around digital technology, the couple ironically represent a cross between rolemodels and cartoons, with a touch of 1960s retro cyber-sporty style mixed with that of a social media addict. The result is a true crossroads, a surprising blend of heritage and youthful modern culture inspiring the transformation of the original duvet, which has managed to keep its vintage appeal while exuding the energy of youthful contemporary styles and attitudes. The star of the collection is the nylon laque down jacket, an essential part of the Moncler tradition. The color palette boasts strong deep colors, like burgundy, shiny midnight blue, English green and black. The collection's special tags depict Mr. & Mrs. Moncler and serve to set the garments in this special project apart from the other clothes on display in the boutiques.